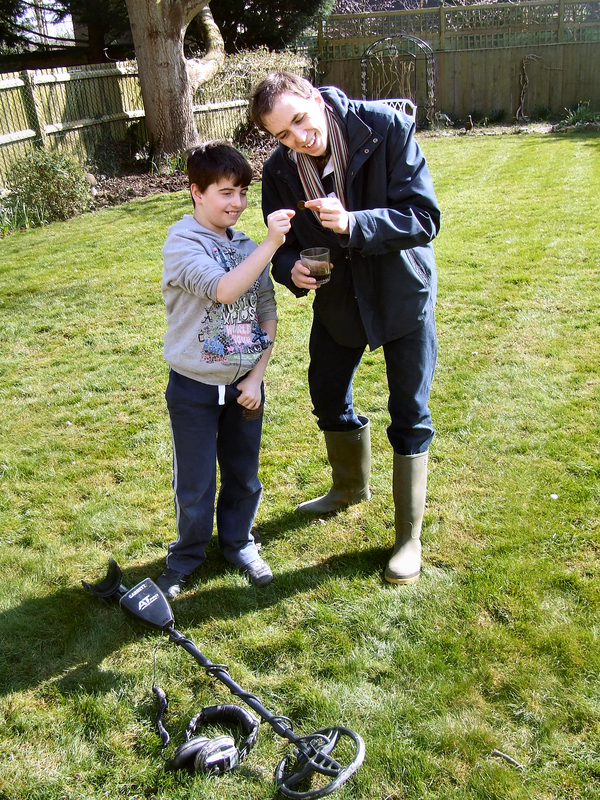 Yesterday I was invited to my friend Gabriel’s house in the medieval village of Eynsham, Oxon, to do some garden detecting with him and his cousin Toby. The house is large and wonderful, filled with artefacts from the travels of Gabriel’s parents and grandparents (one of whom was inaugural Booker Prize-winning novelist P.H. Newby). 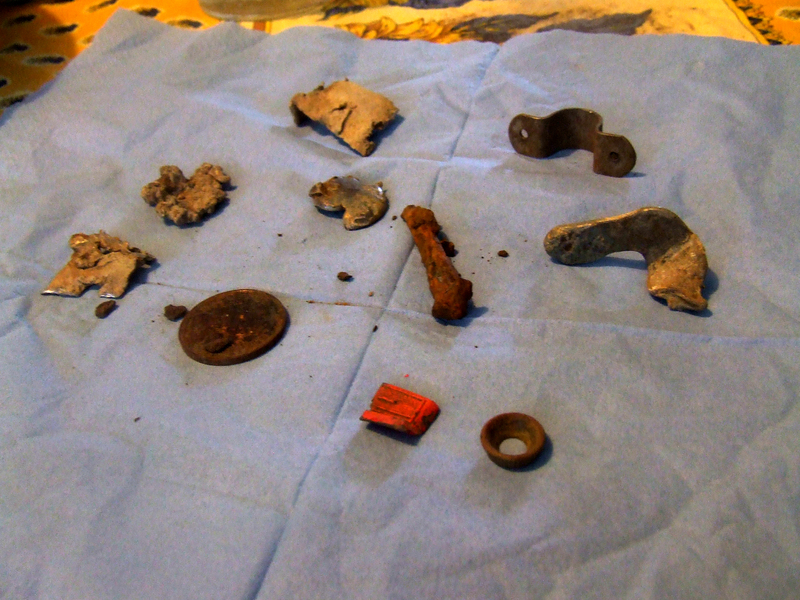 The weather cooperated, and we spent two and a half hours detecting, mainly in the back garden. We dug up some interested lead bits and 12p in change (including a 2p from 1979), but the camaraderie and sunshine were the main gains (along with a lovely tea featuring a Victoria sponge cake). 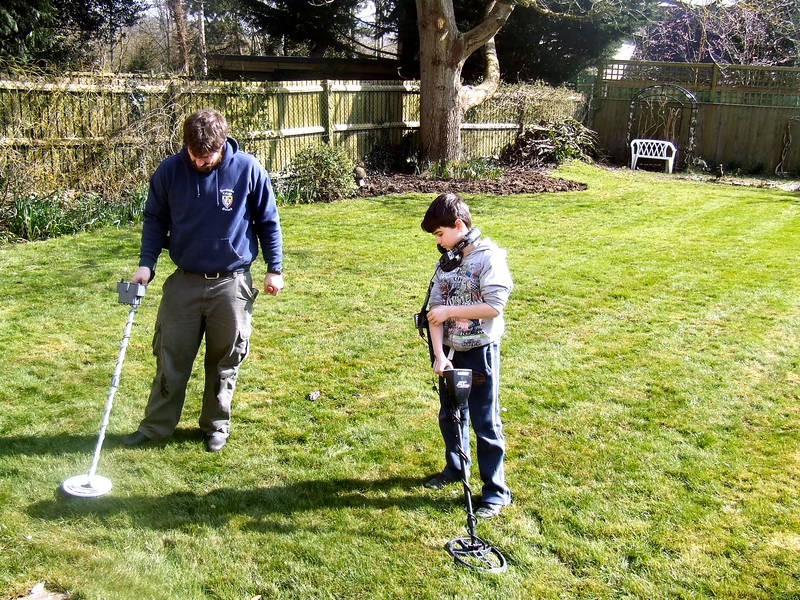 Toby, though young, was our main finder of things; most of the strong detector hits came initially from his searching. 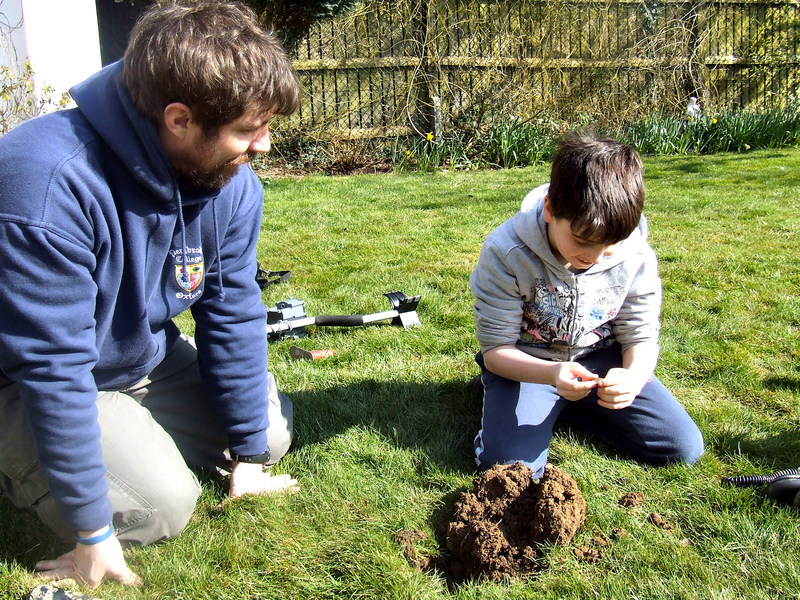 In other treasure news, I’ve just heard from the Oxford Blues Metal Detecting Club, who have moved me off of their waiting list and onto the club rolls proper. More details to follow.